Our peaCURE is a medical food which consists only of palmitoylethanolamide (peaCURE). peaCURE is thoroughly tested and recommended by a large number of health professionals due to its efficacy, purity, safety and wide field of action. Our peaCURE is extracted from palmitic acid and it has not a single added taste modifier, pharmaceutical filler, or any other additive. It is literally the purest form of palmitoylethanolamide available on the market. Our peaCURE is produced using the latest production process which severely improved purity and reduced cost of production. Moreover, the production process is eco-friendly and GMP and FSSC 22000-certified, which means that the purity of our products is guaranteed. However, we also test the end products independently to make sure we offer nothing but the best. We meet all of the EU regulations and even exceeds vast majority of them by a large margin. Simply put, peaCURE is safe, effective, natural, tested and proven in theory, through studies and practice. 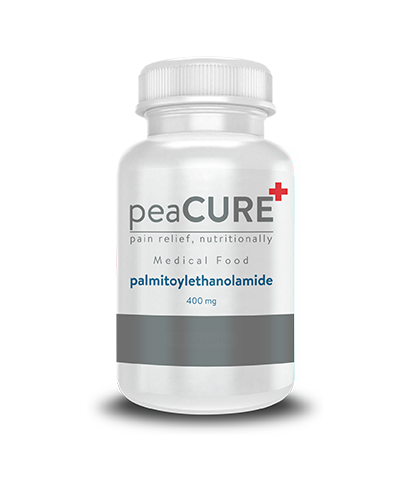 Palmitoylethanolamide (peaCURE) is, which is an endogenous fatty acid amide, produced by our own bodies. Its purpose is to protect different kinds of cells inside our bodies and return them to their innate healthy condition. Also, since its discovery in the 1950s and the explanation of its mechanism by Nobel Prize winner Rita Levi-Montalcini several decades later, there have been more than 350 scientific studies which confirmed its efficacy but also put the spotlight on another advantage that sets peaCURE apart from all other approaches against the same conditions. More about what is peaCURE. Our peaCURE is completely safe! 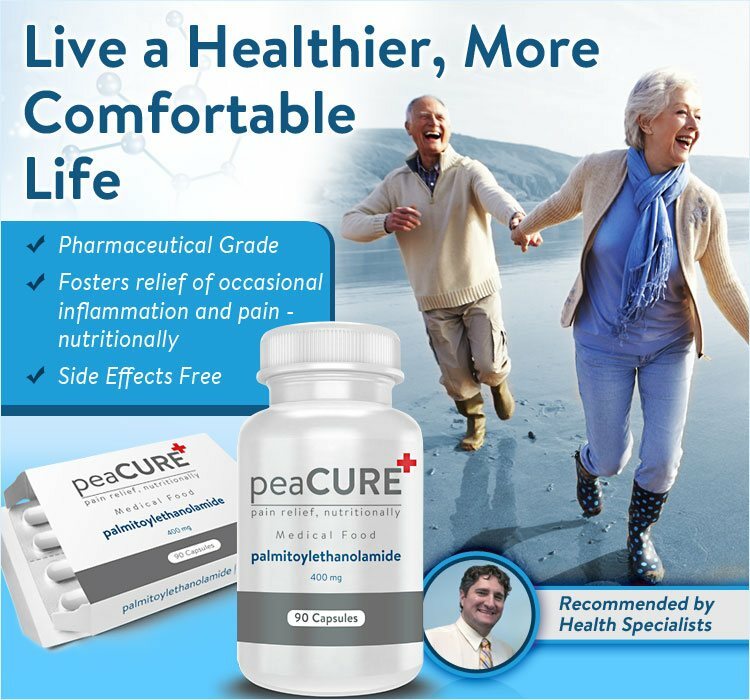 More than 350 studies have been conducted including a wide variety of health issues, medications and subjects with varying ages and there has not been a single recurring side effect or negative interaction with any medicine. Moreover, there is no habituation, or overdose level. Our peaCURE is a simple fatty acid amide and when there is more of it than our bodies can absorb, it is broken down by enzymes without any problems or damage. Our peaCURE works by affecting various receptors on the surface of the mentioned cells. These receptors are naturally present on the cells and they serve as triggers which order cells to start numerous internal processes which make them healthier. When a substance binds to a receptor, it sends the signal which initiates the processes. Our peaCURE binds directly to several different receptors and also affects others by working with other endogenous substances through the so-called Entourage effect. This receptor can be found all over our bodies, including adrenal gland, heart, kidneys, skeletal muscle, large and small intestine and liver, where it is used to control lipid metabolism. Moreover, ketogenesis is not possible without PPAR-a. It is one of the most active receptors in our bodies and it is also the first target of palmitoylethanolamide. CB1 is located in our central nervous system (brain), but also in our liver, kidneys and lungs. It is still not completely clear how palmitoylethanolamide affects CB1, since it does not bind to it directly. However, studies have shown that an increased amount of peaCURE noticeably affects processes regulated by this receptor. Scientists believe that this is so due to Entourage effect via anandamide, which means that palmitoylethanolamide perpetuates activity of other useful endogenous compounds. CB2 is found in the immune system, B cells, macrophages and hematopoietic cells. Just some effects of these cells include creating antibodies, increasing the number of blood cells, microbes, any kind of debris or simply anything that does not look like a normal, healthy cell, based on the kinds of proteins it consists. This makes CB2 incredibly important for immunity. Located in the gastrointestinal tract and pancreas, GPR119 regulates food intake and incretin and insulin secretion. This makes peaCURE a diet substance which decreases the amount of food you take in without any side effects. This is the receptor that regulates bone cell function. It is also present in the brain. That is peaCURE. Our production process is GMP and FSSC 22000-certified. Actually this modern production process is very important. Palmitoylethanolamide (peaCURE) has been known to scientists since the 1950s and as early as 1970s there were several products based on extraction of palmitoylethanolamide using the old production process. However, they were expensive and the highest purity achieved was at about 60%, the rest being fillers and sweeteners. This is very bad compared to our current standards. 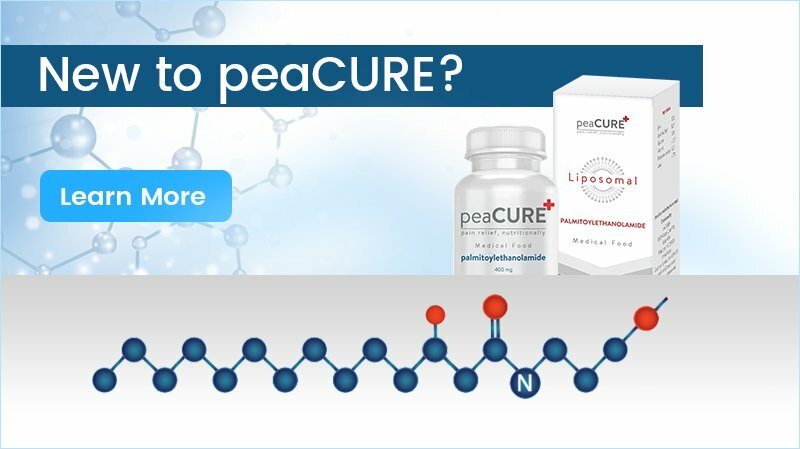 Our peaCURE is of pharmaceutical grade, which means there are no other additives, fillers, taste modifiers, or anything other than pure palmitoylethanolamide. This is literally the best way to make use of the most natural system in our bodies and make it more powerful without any downsides. Care Pharmaceuticals is a team of experts dedicated to providing natural solutions, devoid of side effects and of higher efficacy. We put our complete trust in the power of Nature, but we also see scientific proof as imperative. This is why all our products are tested according to the highest industry standards. We are sure that what we offer is effective and completely safe. What does “recommended by health specialists” mean? Our peaCURE is recommended by a large number of health specialists worldwide. These professionals know the importance of inflammation in the human body and the wide variety of conditions it accompanies and/or causes. This is why they opt for peaCURE. It is of the highest purity, effective, natural, safe and it has no downsides. The only group of people to whom it is not recommended is pregnant women. This is not so due to some discovered side effect, but because there haven’t been enough tests to confirm safety particularly during pregnancy, so it is advisable to be extra careful. Otherwise, peaCURE is completely safe for anyone in any amount. There have been studies including men, women, children and the elderly. Not a single recurring side effect was reported. Moreover, peaCURE has no negative interactions with any medicine, so it can be used alongside various therapies. Read more on how to use. Harrison “Gabe” Frank, MD is a former professional basketball player and neurosurgeon and a rehabilitation physician with specializations in rehabilitation and regenerative medicine. He graduated with a degree in biology at the University of Wisconsin-Stevens Point. After that he spent three years playing basketball at the professional level in the US and overseas. After that he returned to his medical education at the Jefferson Medical College in Philadelphia and after that at Wake Forest Baptist Health, where he completed his fellowship in neurorehabilitation. 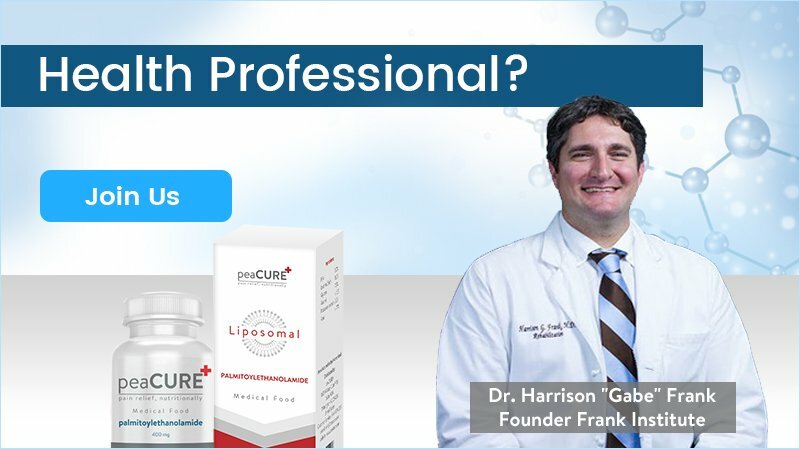 After several years of treating various chronic conditions, Dr.Frank developed a keen interest in regenerative and anti-aging medicine. This perpetuated additional education and training with the American Academy for Anti-Aging Medicine. Being a rehabilitation physician, Dr.Frank aims to treat the cause, rather than consequence and thus restore homeostasis and bring the body to its highest possible functioning capacity. 60 years of research. Over 300 peer reviewed studies. Thousands of satisfied users. Take the best of your body’s own biochemistry.